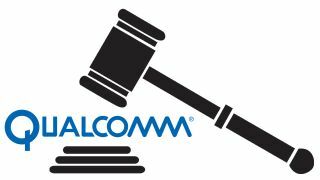 The US Federal Trade Commission (FTC) has officially charged Qualcomm with using “anticompetitive tactics” in order to maintain its monopoly on supply of a key component for smartphone and tablet processors. In doing so, the FTC charges, the California-based chip-maker has both increased costs for the consumer and crippled competition. Qualcomm’s technology in question is a baseband processor, a device used in mobile products to manage cellular communications, and involves patents that are declared “essential to industry standards that enable cellular communications”. The FTC prosecutes anticompetitive behavior for a number of reasons. By creating an uneven playing field, companies can be dissuaded from launching competing products and, by extension, even stifle technological progress. Progress isn’t the only victim here, either – your wallet, and those of competing companies, will have to bend to whatever rules the monopolizer decides on. Qualcomm, in this case, is accused of using several sneaky methods to maintain this vice-grip on their technology, most of which involve exclusivity of licensing, ridiculous terms of agreement, or just flat-out refusal to license out its patents. One such company Qualcomm allegedly forced into an exclusive deal was Apple. The FTC alleges the tech giant was kept from sourcing baseband processors from Qualcomm's competitors in exchange for lower royalties. According to the agency, this prevented Apple from working with competitors and improving the effectiveness of their chips. In response to the allegations, Qualcomm has questioned the law itself, stating that it’s “based on a flawed legal theory, a lack of economic support and significant misconceptions about the mobile technology industry”. Among the defences Qualcomm has offered is that the FTC simply has some of its facts wrong, claiming that it “has never withheld or threatened to withhold chip supply in order to obtain agreement to unfair or unreasonable licensing terms”. This is a big part of the FTC’s argument, so if found to be true, could have a significant impact on the decision. Qualcomm was also quick to point out that the suit was rushed in “on the eve of Chairwoman Ramirez’s departure and the transition to a new [presidential] administration”, perhaps in order to ensure the vote to sue was passed (which it did 2-1) as “only three of the five FTC commissioners are in place”. The processor-producing giant quoted the single dissenting FTC commissioner, who warned that a decision against Qualcomm “will undermine US intellectual property rights in Asia and worldwide”. Qualcomm seems optimistic about how this will all turn out: “We look forward to defending our business in federal court, where we are confident we will prevail on the merits”.